The gaming industry is one of the largest ones out there, and no, I am not talking about the casino one. The one I’m referring to are the computer games that you and I have grown up with and developed a liking for, so strong that it, at times, borders on obsession. Computer games have redefined what powerful hardware and graphics could be used for and can achieve, and rightly so, because the level of detail that today’s popular titles deliver is as close to motion picture as you might imagine. Couple that with immersive storylines and realistic gameplay, and you may find yourself hooked to the screen for hours upon hours. If you’ve been interested in computer games for as long as I have been, you would remember fairly well that this wasn’t how the gaming industry developed since its inception. Titles like Dangerous Dave, Legend of Zelda, Zeliard, Gods, and many others, are the ones that got millions of fans, despite lacking stellar graphics and all that detail. Then, Wolfenstein 3D went on to lay down (arguably) the first true foundations of the First Person Shooter (FPS) genre, leading on to tiles that amassed billions both in fandom and earnings. One such series has been idsoft’s Quake – another futuristic FPS that still remains popular with gamers around the world today. Now, Justin Marshall has ported the game to Windows Phone 8. The choice of using Quake for a port might seem odd, considering that it’s a pretty old title, but if you consider it, there are certain understandable reasons for it. For one, the game is available as shareware, so licensing is taken care of. Second, it has been ported to WP8’s Direct 3D 11 engine, which is one of the very few that the mobile platform from Microsoft supports. The fact that it’s a popular title doesn’t hurt either. It should be noted that that game is quite buggy as of yet, not to mention requiring certain tweaks to load individual maps, and generally become playable. According the Justin, the graphics engine isn’t working at 100% either, as it misses out certain elements almost half the time. Still, for a proof of concept, this is something really exciting and promising, indicating that we might expect good titles to come to Windows Phone 8 in near future. Check out the vide preview of GLQuake running on Windows Phone 8 below. 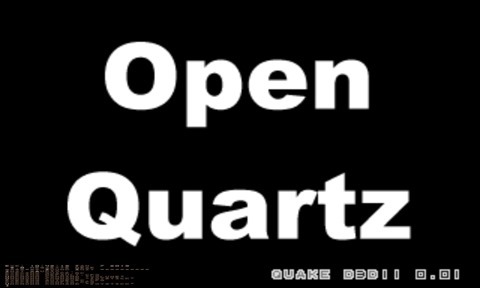 For more details and getting a taste of GLQuake on your own Windows Phone 8 device, check out the source link below.